Nominet has been running and protecting DNS for over twenty years – safeguarding the UK’s part of the internet. 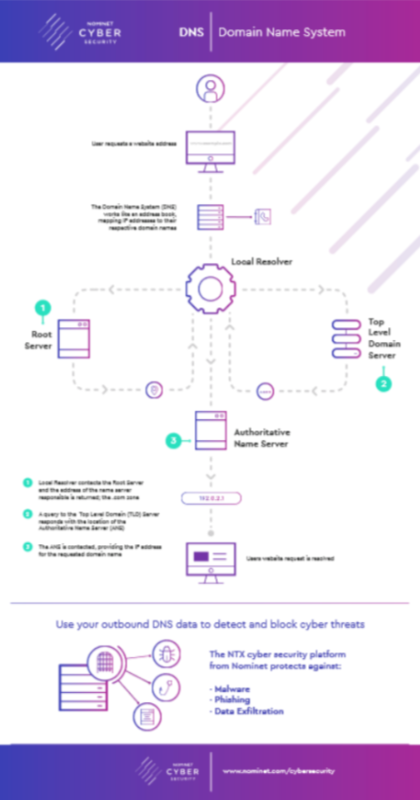 This infographic quickly covers the main components of DNS and how they work together to keep the internet running smoothly. There is a short animation that bring this to life too.